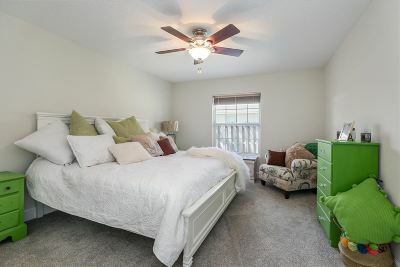 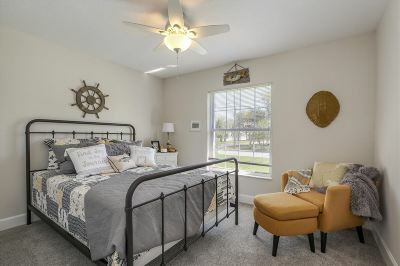 Move in Ready Beach Home!!! 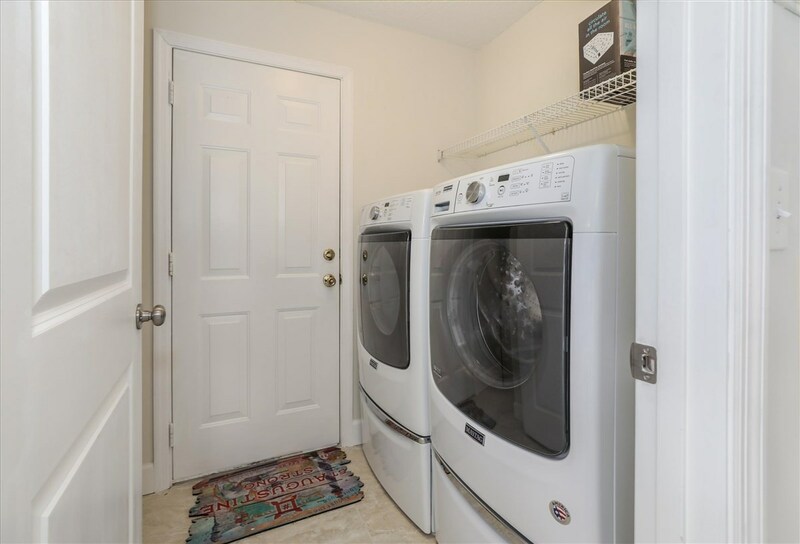 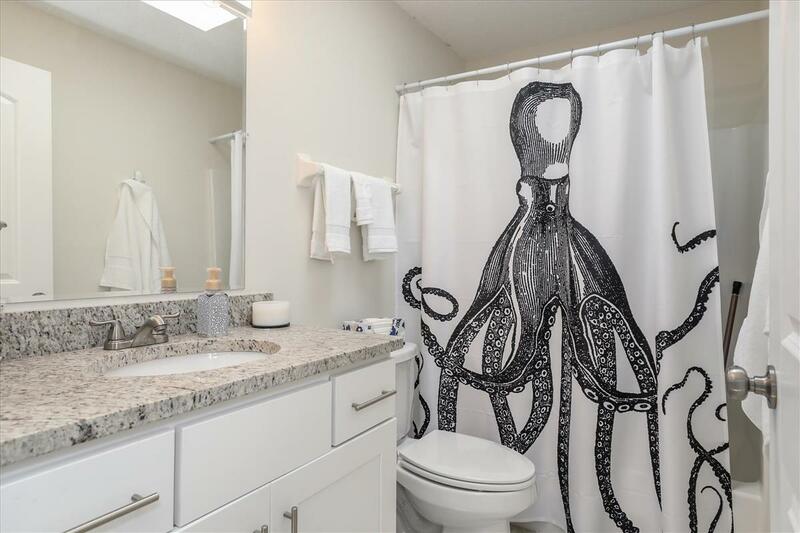 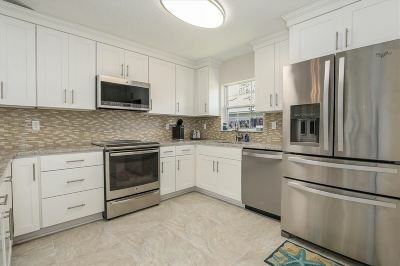 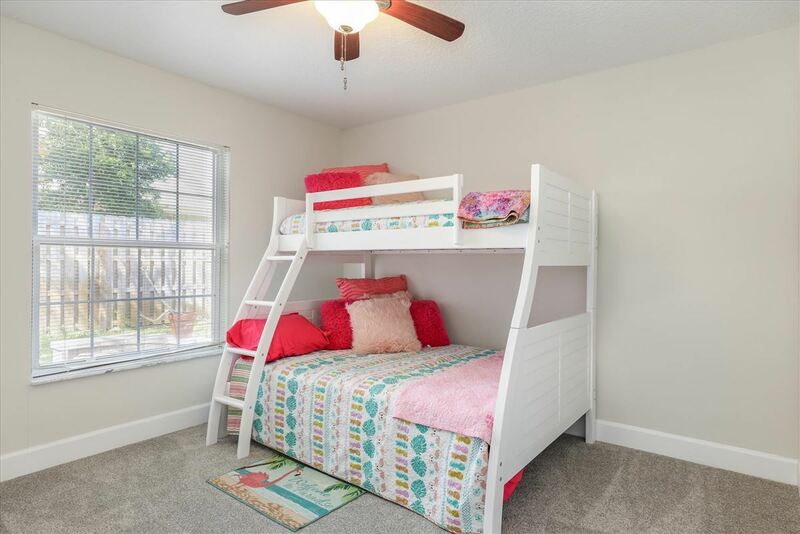 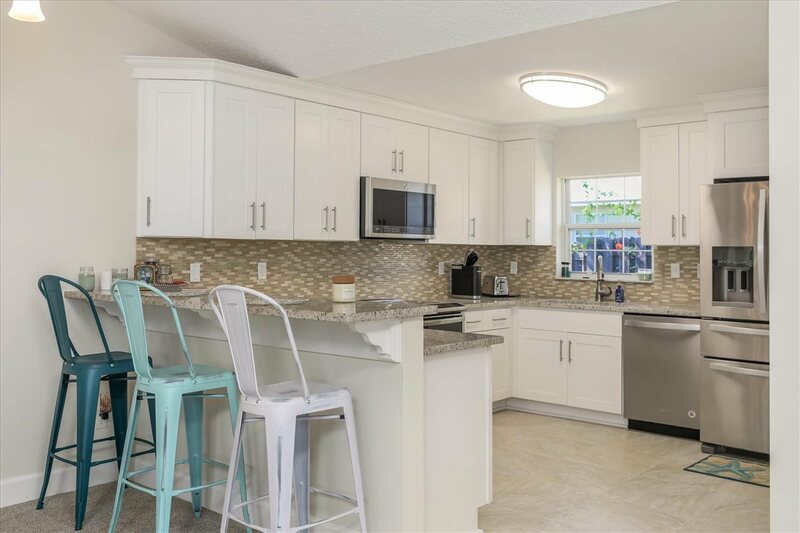 This turn key beach home with a stunning kitchen features white shaker cabinets, granite counters, stainless appliances, 20" kitchen tile floors and beautiful tile backsplash. 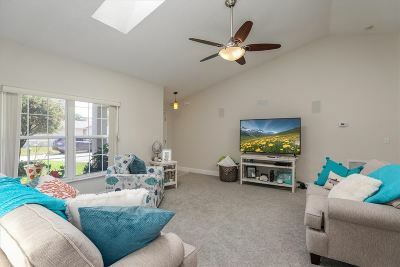 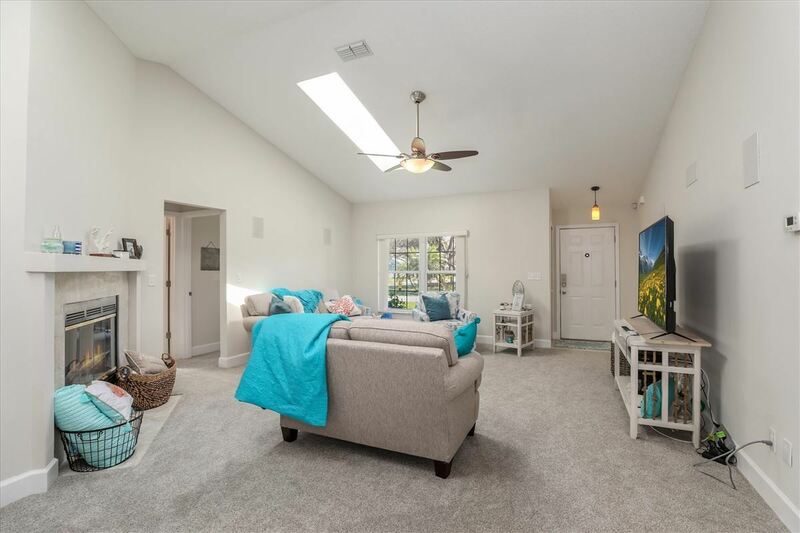 Lots of natural light fills the living room which boasts a wood burning fireplace and newer carpet. 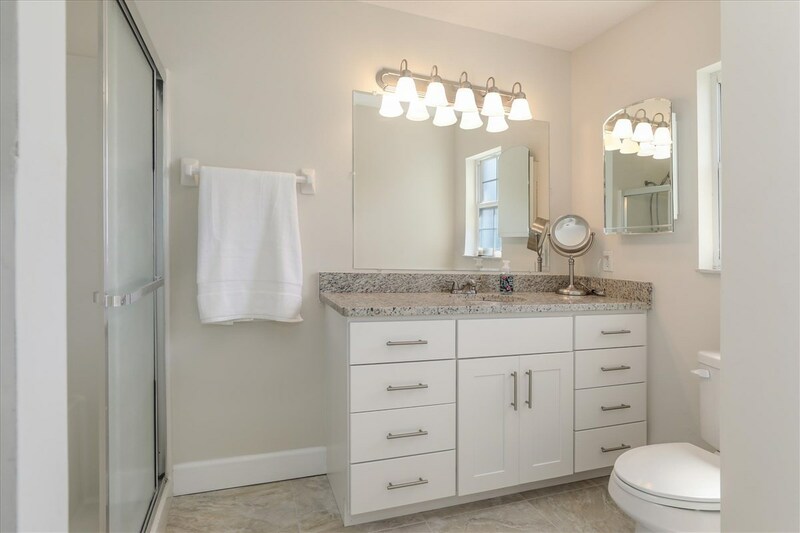 Split floor plan with a generously sized master bedroom with en suite and new custom closest. 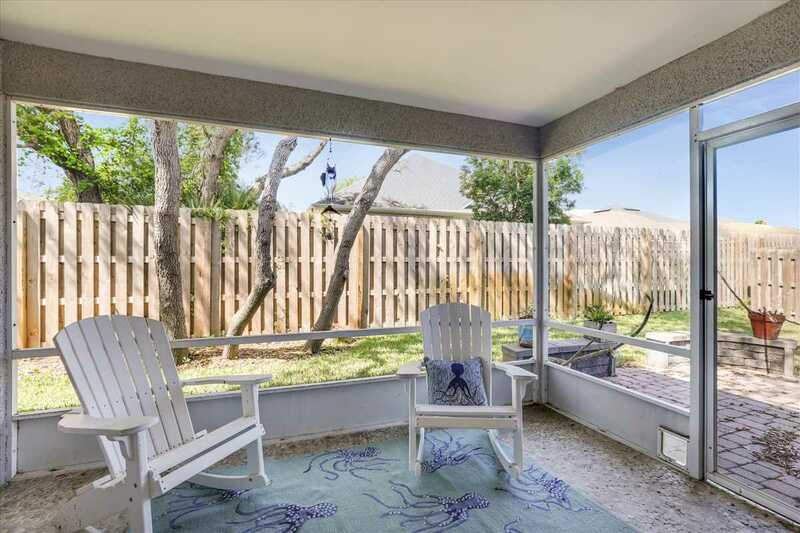 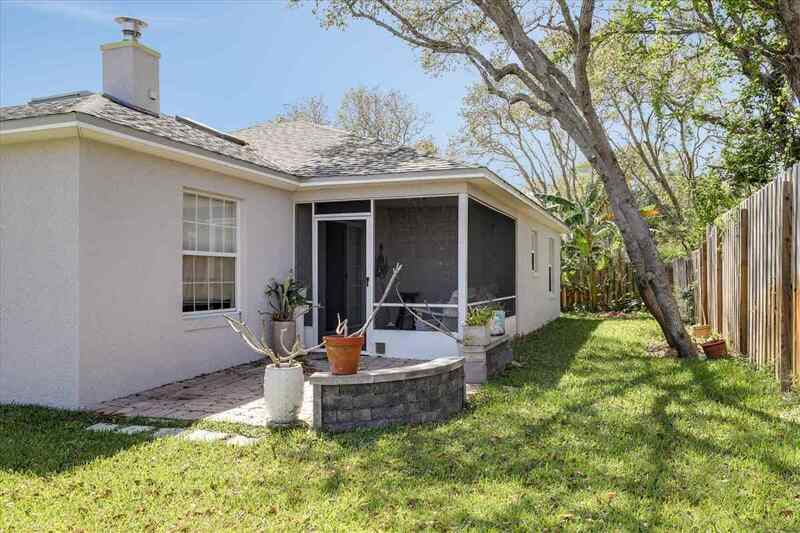 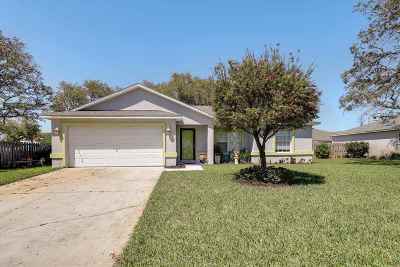 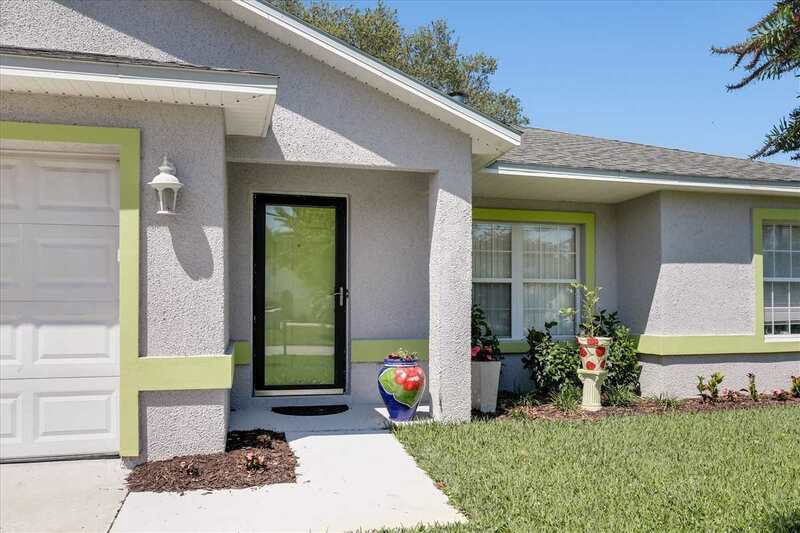 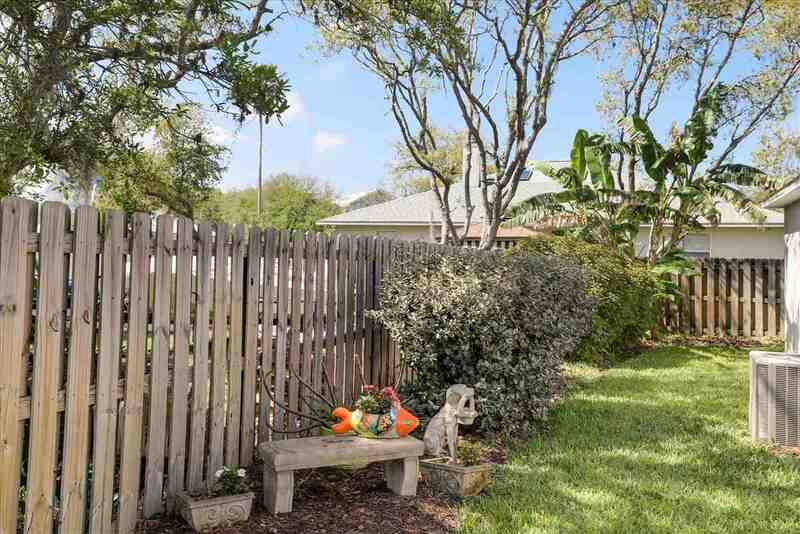 Step outside and you will find a screened in porch as well as an additional seating area with pavers., Coquina Exterior recently painted a welcoming grey. 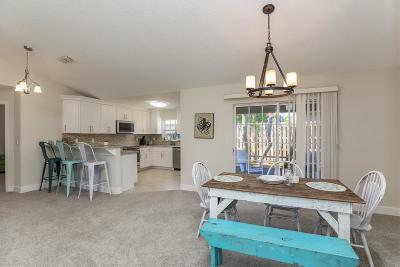 Take a stroll to the sandy St. Augustine Beach or a quick car ride to the historic downtown. House is in immaculate condition and truly shows like a model.